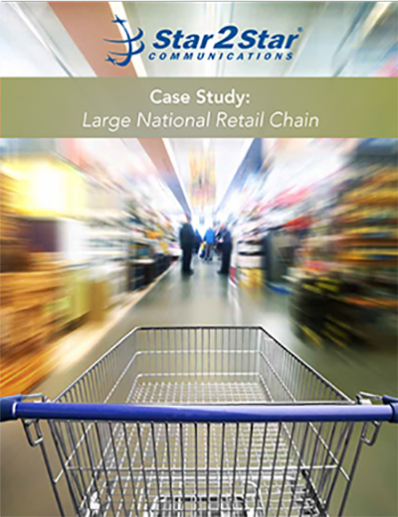 America’s largest retail chains face special communications challenges. They must connect thousands of locations across the entire United States, protect credit card information, and maintain company standards. When one of the largest discount retail chains in America needed to upgrade their communications system and reduce monthly bills, they turned to Star2Star. Read more to discover how Star2Star was able to save the retail chain millions of dollars every year after installing more than 11,000 StarSystems in industry-record time.